Russ spent his early professional career in retail sales and customer service with companies such as Mellville, Office Depot and Winston Tire Company in Southern California. He fell in love with aviation and earned his private pilots license in 1988. Russ earned a Bachelors Degree in Aviation Management from Southern Illinois University at Carbondale and a Master of Public Management from Indiana University. He is a Certified Member of the American Association of Airport Executives and a member of the Aviation Association of Indiana. His airport career started at McClellan-Palomar Airport (CRQ) in Carlsbad, California where he worked his way from an unpaid intern to an Operations Officer. From there he moved his family of 5 to Milwaukee’s General Mitchel International Airport (MKE) as a Noise Abatement Analyst and finally found his home in Auburn Indiana where he has been the Manager of DeKalb County Airport (GWB) since 2004. Jason attended Indiana State University in Terre Haute Indiana, where he completed a Bachelor of Science in Aviation Management and an Associates of Science in Aviation Technology. He currently holds a Commercial Pilots Certificate with Instrument Rating. 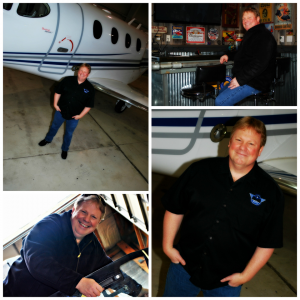 After graduating from college, Jason worked at the Terre Haute International Airport full time for the Fixed Base Operator, Terre Haute Air Center and then most recently, Hoosier Aviation. During the same period, he also worked part time at FedEx Ground Packaging Systems. 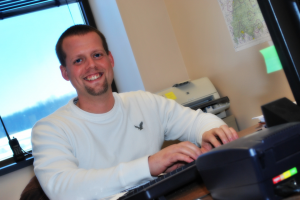 Jason joined the team at the DeKalb County Airport in November of 2012. He is currently an affiliate member of American Association of Airport Executives, Aviation Association of Indiana, and Aircraft Owners and Pilots Association. 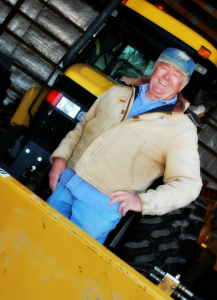 Gene spent his early working years in the Marine Corps working in Motor Transport/Company Supply. Gene later trained to be an electrician and eventually retired from Shambaugh and Son as a master electrician. The majority of his career was spent in service work which gave him an incredible depth of knowledge making him an extremely valuable airport team member. Gene currently lives with his wife in DeKalb County, he has two sons, a step-son and two step-daughters.